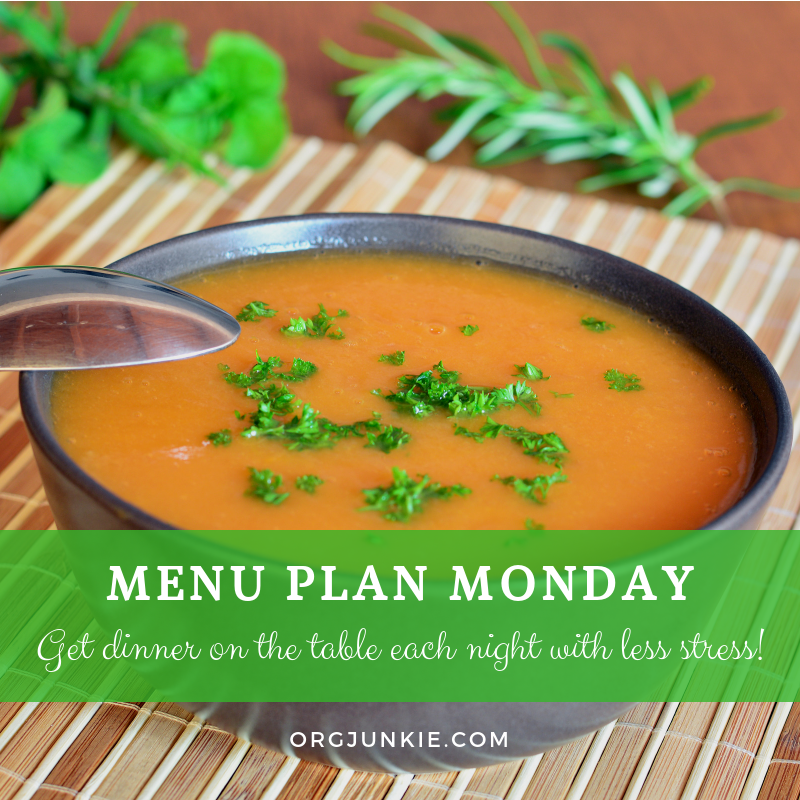 Welcome to Menu Plan Monday! I am so proud of my son (12). Last week I mentioned that he was going to start cooking one day a week. 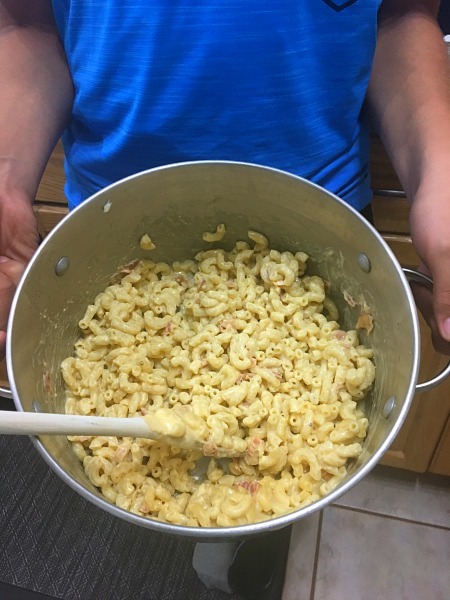 His first recipe was a stovetop mac & cheese dish. He kicked me out of the kitchen and did the whole thing himself start to finish. He was so happy (he even added bacon!) and said it was delicious! I couldn’t try it myself but I’ll take his word for it. He’s a pretty picky kid. I snapped a quick pic with my phone after he’d already eaten a huge bowl of it :). I wish I could show you his big smile. Reminder to you that there are three more days to grab the Eat at Home Meal Plans at 30% off. Don’t miss it especially if you could use some help with getting your menu plans done each week. 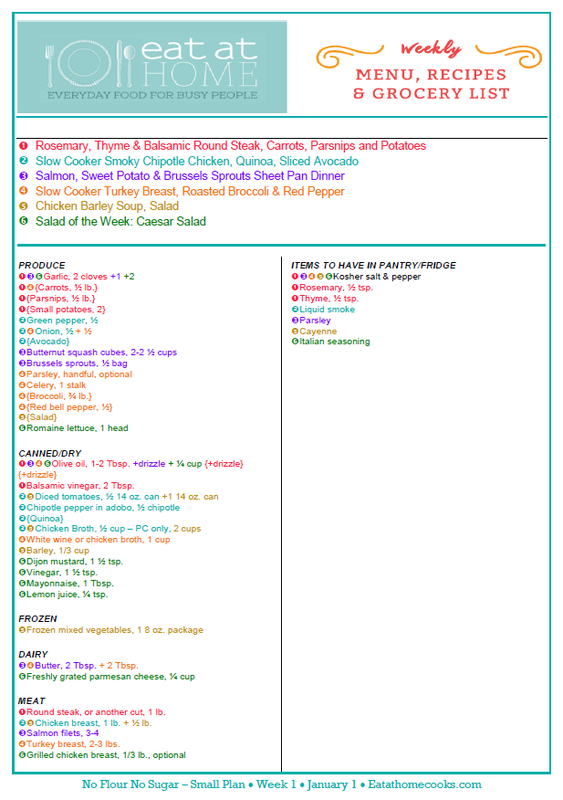 This service will not only create your menu plans for you but also supply color-coded grocery lists and printable recipes. Here’s a little sample of the organized grocery list. It just might be what you need to make your busy life a whole life easier. Read all about it and get the discount code HERE. Sale ends Wednesday! Here’s what we’ll be eating this week. Have a wonderful week everyone!! WHAT ARE YOU EATING THIS WEEK? SHARE RECIPES AND MENUS BELOW! 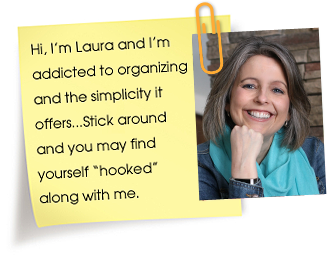 Menu Plan Guidelines, banner selections and recipe helpers are here. More awesome recipes on my Pinterest boards here. Don’t forget to join our growing Menu Plan Monday Facebook Page! !